We have the experience and expertise needed to handle any iPad Air repair you can throw at us (we may be ninjas, but please be gentle). We stock only the highest-quality parts available, including all the parts required for an iPad Air screen repair. With conveniently located stores in Perth, and 7 years in the industry, who else would you trust to repair your iPad Air, but a (Phone) Ninja, so contact us today! Thinking of visiting other stores in Perth Western Australia? Think again, as they will not only cost you more, but you will not get the same high quality parts that deliver the same quality, feel and picture as the original. That’s because our technicians use only the highest quality iPad Air parts, often replaced on the same-day, saving you time! 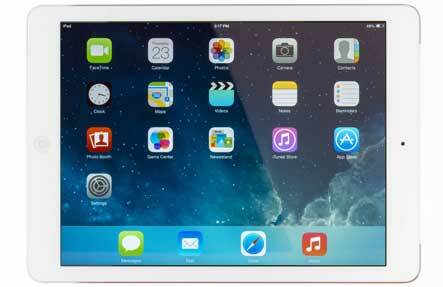 We not only offer quality iPad Air Repairs, but also the security of a 3-month warranty. Our touch screen replacements will sit perfectly flush within the housing of the iPad Air, and any housing repairs we have to perform are fixed at no extra cost! You can simply contact us, or visit any of our north or south of the river stores in Perth today for a free quote. We’ll fix your iPad Air screen like new again!